When you think of books in Braille, it’s likely that what comes to mind are plain white sheets embossed with dots. It’s hard to imagine a Braille book with vibrant, tactile images. Yet this is precisely the way in which a handful of people are trying to transform reading into a sensorial experience for the visually impaired. Exquisite henna reproductions of the architecture of a medieval palace, textures that bring alive Eric Carle’s children’s book, The Very Hungry Caterpillar, and embossed sticky worms that help a toddler learn to count. 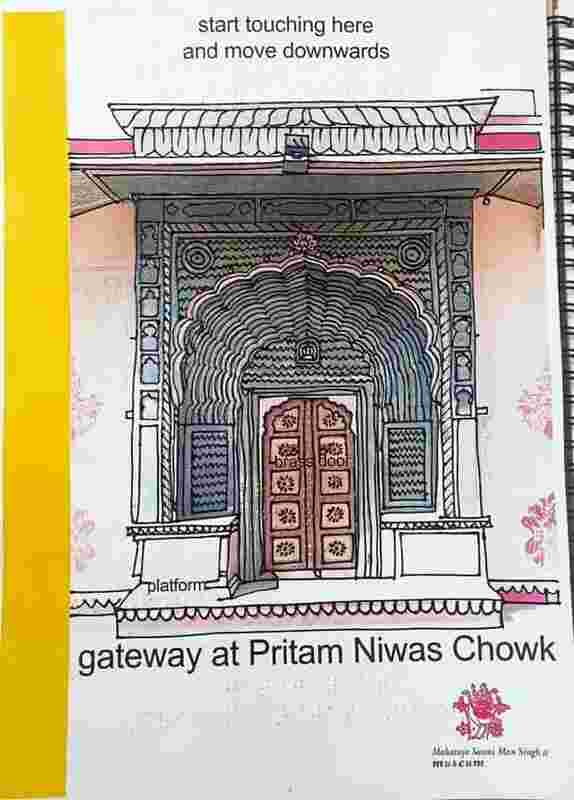 “One day I was watching a mehndi artist at work, and I thought why can’t I use the same artist and her technique of cone work to make a tactile illustration in a Braille book," says Siddhant Shah, a heritage architect and consultant on making public spaces accessible to the impaired and challenged. This was last year, when Shah was working at the City Palace, Jaipur, on the Open Braille Guidebook for the Maharaja Sawai Man Singh II (MSMS II) Museum. The book was released in March. For Shobha Viswanath, publishing director of Karadi Tales, a series of popular audiobooks for children, the journey into the world of Braille books began nearly a decade ago. As Karadi Tales started becoming a popular name in the audiobooks space, with its series creating a wholesome reading experience both for regular readers as well as for the blind, she got requests from non-profits like Aarushi and the National Association for the Blind, Mumbai, to create books in Braille. “At that time, we weren’t into Braille. So, we gave them the text without charge to be transcribed into Braille, which could be used along with the audio," says the Chennai-based Viswanath. “Then I went to the Bologna Children’s Book Fair (in 2006), where I met a very enterprising Dutch publisher, Jean Christophe Boele van Hensbroek, who headed Lemniscaat—a children’s book publishing house. Over dinner, we discussed the idea of presenting colourful picture books to visually impaired children." While the partially impaired may have blurry impressions of colours, fully impaired children cannot perceive colour at all— but they can sense it. So, Viswanath and Lemniscaat thought of attaching texture to colours to create tactile picture books and that’s how Dreaming Fingers, an imprint of Karadi Tales, was born in 2006. “Usually, what would happen is that, say, in a story about a little boy who meets a rabbit, a part of the ear would be tactile, with a furry texture, and the child had to imagine the rest," says Viswanath. Dreaming Fingers decided to make the entire illustration tactile, with text in both Braille and print. After returning from Bologna, Viswanath began work on a prototype of The Very Hungry Caterpillar and took it with her six months later to the Frankfurt Book Fair to show Lemniscaat. “We procured Braille edition rights from Eric Carle’s agency for this particular book and made 3,000 copies for readers in the Netherlands. Out of every sale, €5 (around ₹ 380 now) were kept aside so that 1,000 copies could be made available for children in India," says Viswanath, who has made six tactile books so far, mostly for the international market, and is working on three new ones. That was in 2011. After copious research and several sticky moments, DK launched its Braille series this March. It is being described as the first audience-led, accessible and safety-tested set of Braille books from a mainstream publisher to incorporate the needs of partially sighted or blind readers. It begins with two touch-and-feel board books for toddlers, focusing on learning skills such as counting and identifying shapes. The series continues for young, independent readers with a book on animals, and one on transport and travel. 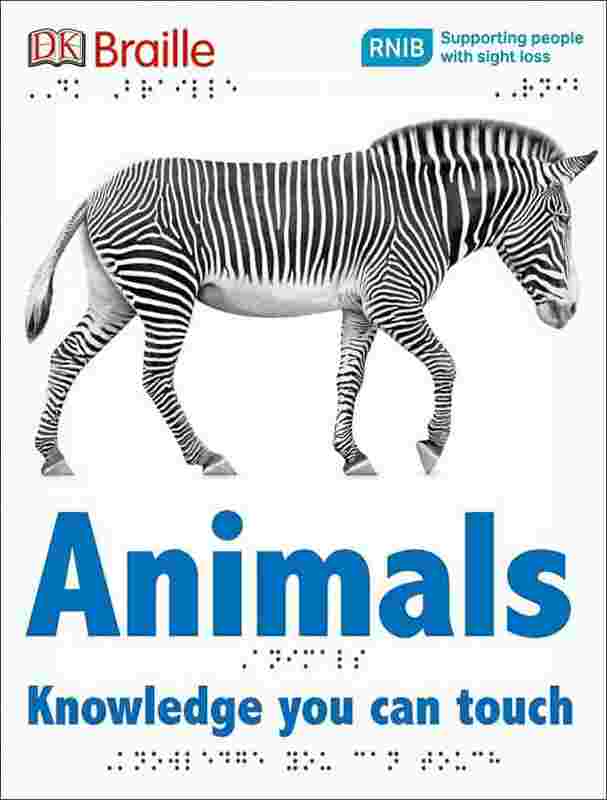 Older, independent Braille readers can enjoy a collection of strange facts about the world. Creating illustrated Braille books isn’t all that easy—there is no set precedent. “We all have the urge to find references, but I couldn’t find even a single decent one from India," says Shah. So, he referred to experts, both within the museum and outside. “I have been working with the City Palace on this project for six months now, but even then I needed help from curators and the director to understand particular paintings," he says. At times, he and a colleague would blindfold each other and walk around the City Palace courtyard to better understand how the architecture would be perceived by the visually impaired.“Language becomes very important in a book like this. For instance, while describing a courtyard, you need to be descriptive and visual: ‘Imagine that you take a lid off the box, how would you feel?’" says Shah, who worked closely with a local non-profit, Rajasthan Netraheen Kalyan Sangh. “They guided me on what would work and what wouldn’t. They even proofread the text," he says. Star’s team at DK, too, worked with the Royal National Institute of Blind People to better understand and incorporate the needs of the visually impaired. Be it Shah’s Guidebook, the DK Braille series or Viswanath’s picture books, the tactile illustrations are accompanied by text in large font and in Braille. “The parent, teacher or caregiver might not be well-versed in Braille, so the text helps them guide the reader through the book," says Viswanath. Colours play an important role too. For instance, in DK’s Braille series, high-contrast colours have been employed to maximize any sight that visually impaired readers may have. The images in the books are made tactile with embossing and stimulating finishes such as flocking and high-gloss, for children to feel with their fingers. “In our book too, the fonts are clear and without serif, but of a kind that allow for apostrophes. The cover of each page is double- laminated—it’s meant to be touched and is easily cleanable. The size is ergonomic—a slightly reduced A4 and is read in landscape like a keyboard," says Shah, who will be making these books available to schools and organizations with the help of the MSMS II Museum. The problem lies in the practicalities of creating such a book. First, there aren’t too many Braille presses in India, and the ones that exist churn out plain textbooks on old machines. “The Rajasthan Netraheen Kalyan Sangh is the only one in the state to have a large format Braille press, and they have a set size format. Printing this book was a challenge for them too. To get the layout template right, they had to print that page at least five times," says Shah. Production costs, then, tend to spiral. “One needs to source different kinds of fabrics and make die-cuts. If the book goes out of stock and you need to get into a new print run, then there’s a problem, as the die-cuts can be used only for one print run or they lose their sharpness. Making new ones makes sense only if a minimum of 500 copies needs to be printed," says Viswanath. No wonder then that the average cost of such a book keeps going up every year. The DK Braille series of five titles, for instance, is priced at ₹ 550-1,699. “If publishers were to receive subsidies or support from the government, then more of them would be encouraged to offer their books in Braille or as tactile books," she adds.